Since the beginning of time, most real estate agents have charged a commission fee between 5% to 7% of a home’s sales price. However within the last 5-10 years, commission rates have started to decline as newer real estate models emerge. Today, several options exist for consumers who want to work with lower commission real estate agents including flat-fee, discount, MLS-only, and online real estate brokerages. In this article, we will explore real estate commission, what a low commission real estate agent does, and why an agent would offer lower commission. First of all, who pays real estate agent commission? When a home sale occurs, there are typically two sets of commissions that get paid: the Buyer’s Agent commission and the Seller’s Agent commission. Historically, most sellers pay about 6% in real estate commissions (3% to the listing agent and 3% to the buyer's agent). But, a common misconception is that these fees are locked in or set in stone. Many agents will tell consumers that their commission rate is not negotiable, but this is not the case. Both the listing fee (typically 3%) and the buyer’s agent fee (also, typically 3%) is negotiable. If you don’t feel comfortable negotiating a reduced commission with a larger brokerage and don’t want to pay 6% or more to sell your home, a low commission agent or online broker might be a good option for you. What is a Low Commission Real Estate Agent? A low commission real estate agent is a licensed real estate agent that charges a lower commission than a traditional agent. For example, these lower fee agents may charge a fixed fee or a reduced commission rate instead of the prevailing 3% to list and sell your home (not including the buyer’s agent commission). These agents may offer full service or limited services for a discounted commission. "Flat fee" or "discount" brokerages may provide a very similar (if not exact) level of service compared to a larger, "full-service" brokerage such as Re/Max, Keller Williams, Coldwell Banker, etc. To learn more about alternative commission models for sellers, check out our blog post. It is important to note that these agents will typically not alter the buyer’s agent commission, only the listing agent commission. In other words, if the typical fees in your area are 3% for the buyer’s agent and 3% for the seller’s agent, the discount broker usually will only lower their fee, but not the commission of the buyer’s agent. This way, the buyer’s agent is equally incentivized to show your home versus another home. Why would an agent offer discounted commission? Many brokers and agents have various reasons for charging less in commission. 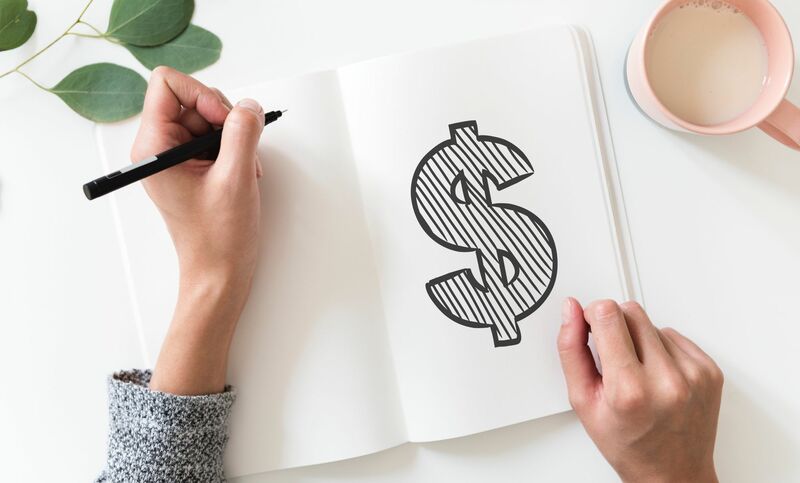 Most commonly, it comes down to business expenses that come with finding new customers such as marketing and advertising costs. If an agent lowers their commission, then they generally can acquire more customers at a lower cost than their competitors. With the increased number of customers, the agents can then offset the loss from the discounted commission. Another reason agents discount their commission relates to the current condition of the real estate industry. According to the National Association of Realtors, 51% of home buyers in 2017 found their home online. With the introduction of websites like Zillow and Realtor.com, many home buyers can search for homes and narrow down a list of ones they’d like to tour on their own. As a result of buyers doing more work during the home search process, agents are now able to lower their commission and work with more buyers at once. Another factor relates to the “hard costs” of selling a home. What most consumers don’t realize is that agents do not shoulder many hard costs when with selling a home. In terms of operating costs, agents generally pay a “desk fee” or a commission “split” to their brokerage plus annual dues to the local Realtor’s association. But, when it comes specifically to selling your home, the only real cost is their time and energy. Gone are the days of high “marketing costs” where an agent might print and distribute thousands of flyers or postcards. Those tactics are unnecessary with the advent of the internet. In short, it costs agent next to nothing to “sell your home”. So, technically an agent could charge you only $1,000 and still make a profit - depending on how much the agent valued their time. Said another way, an agent that only charges you $500 is not necessarily “losing” money on you as a customer. Does SimpleShowing have low commission real estate agents? Yes. SimpleShowing has a unique pricing model that offers discounted commission/listing fee for sellers and a refund for buyers -- all while still providing full service to our clients. For Sellers, SimpleShowing charges $0 up front and a $5,000 flat fee at closing. In 2018, our sellers saved $7,550 by listing with our flat fee. Please note: This fee does not include Buyer’s Agent commission which is typically 2-3% of the purchase price. For Buyers, SimpleShowing charges $0 and rewards buyers with a commission refund of up to 50% at closing (half of the typical 3% commission, or 1.5% of the purchase price). This refund will be written as a check to the buyer at closing or used to reduce the buyer’s closing costs. In 2018, our average buyer received a refund check for $5,037. To get started with a low commission agent, call us at 800-456-8075 or request more info here.